As the winter chill dissipates, many homeowners come out of hibernation, ready to take on spring cleaning. Renewing your home for the warmer months can be both cathartic and refreshing, but many forget to bring their deep cleaning to the exterior of their home. Preparing your roof for the warm seasons can help keep those April showers out of your home and save you money down the line. 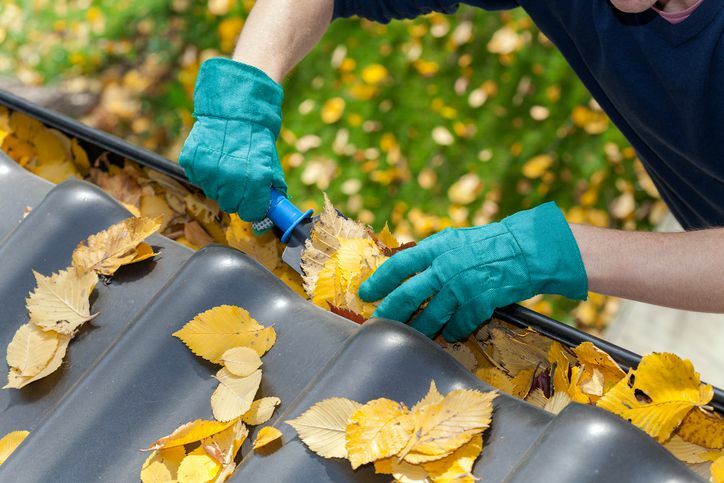 The first thing to do before checking your shingles is to clean out your gutters and remove leaves from your roof. Leaves, sticks, pinecones and other natural debris can clog up your gutters and downspouts, potentially resulting in water damage if water isn’t drained away from the house. Be sure to prune tree branches that hang above the roof to prevent all your hard work from being reversed the next time a strong wind or rain shower hits. Debris left unattended can erode granules on your shingles, and thus their effectiveness. Now that your roof is free of leaves and debris, you can call in a professional to begin inspecting your shingles. A trained professional who is known for detail-oriented work will be able to spot signs of damage where the untrained eye simply can’t. During the winter, animals may climb into your home through the roof to keep warm and build a safe place to raise their young. Your roof inspector will look for small gaps or holes that may point to a rodent infestation. If you notice weather or animals have ruined shingles, joints, seals or flashing, have your professional roof servicer repair it immediately. Damage on the roof can quickly lead to leaks. Any pest infestations may jeopardize your family’s health, which is why it’s important to call an exterminator as soon as pest activity is discovered. Severe weather cause structural integrity issues and may cause the ice to melt away before it refreezes, exacerbating damage. Check to make sure your seals and flashing are holding up well to the heavy precipitation. If you notice a leak, call a professional immediately to prevent mold and further damage. Your springtime cleaning routine shouldn’t exclude your roof. Because it is such an important part of your home’s structure and functionality, annual roof inspections are a must! To schedule a roof inspection today, contact Aspenmark Roofing & Solar online or call 214-823-7663.